Workshops to Move Women Beyond Career Stagnation to Creating Powerful Career Advancement Strategies. Are You Struggling to Advance Your Career? Instead of achieving career success, women often spend years in jobs they hate because we're too afraid to ask for what we want. Despite being highly educated and prepared for leadership, most women lack the clarity and confidence to pursue leadership positions. Disillusioned and distrustful of the corporate career ladder, many women resolve in frustration that they will never have a rewarding career. The lack of clarity, career guidance, and having a blueprint to accelerate your career is costing you financially. Annually, women leave 25-35% of their salary and growth potential on the table. Millions of untapped income because you are too scared to ask for what we want. 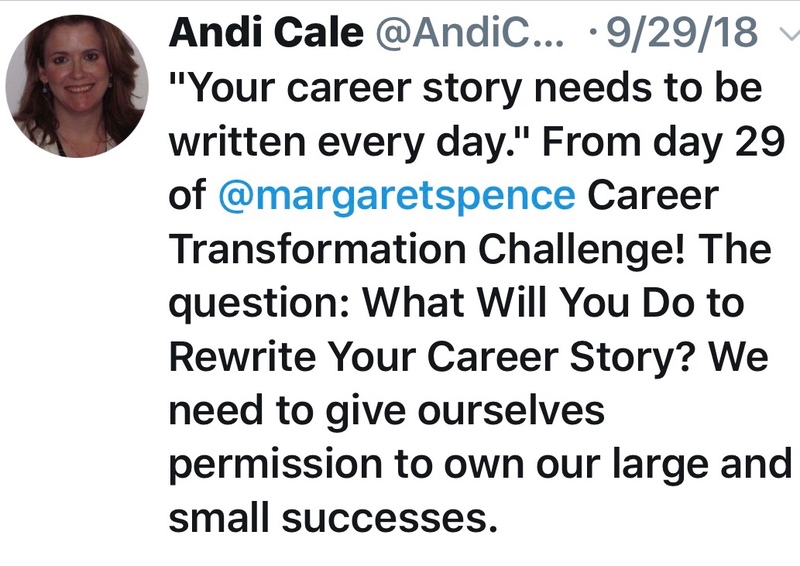 Our Career Transformation Framework teaches you how to stop playing the victim in your career story, and instead, build a solid career acceleration plan that includes financial freedom - You Deserve It. How Do You Move Beyond Career Stagnation to Growth? The Four Stages of Career Growth: Clarity - define what you want. Focus - align your vision with your mission. Eliminate - all blindspots. Build - a growth strategy for record-breaking achievement. 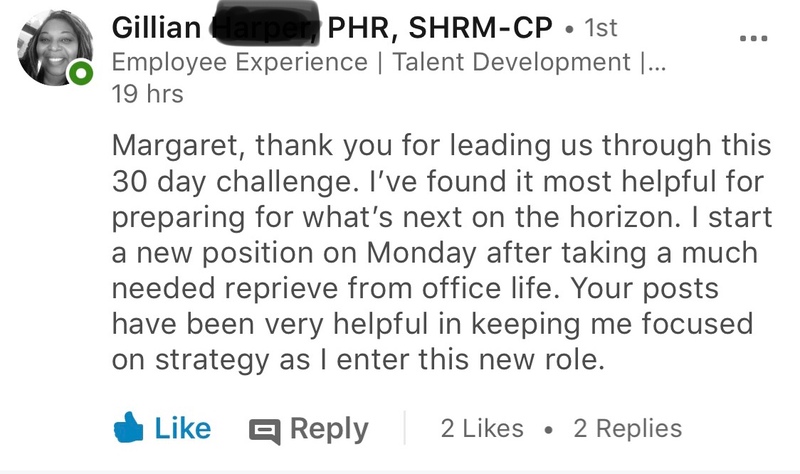 Are you ready for a Career Transformation? Our Why: My Story, Is Your Story. 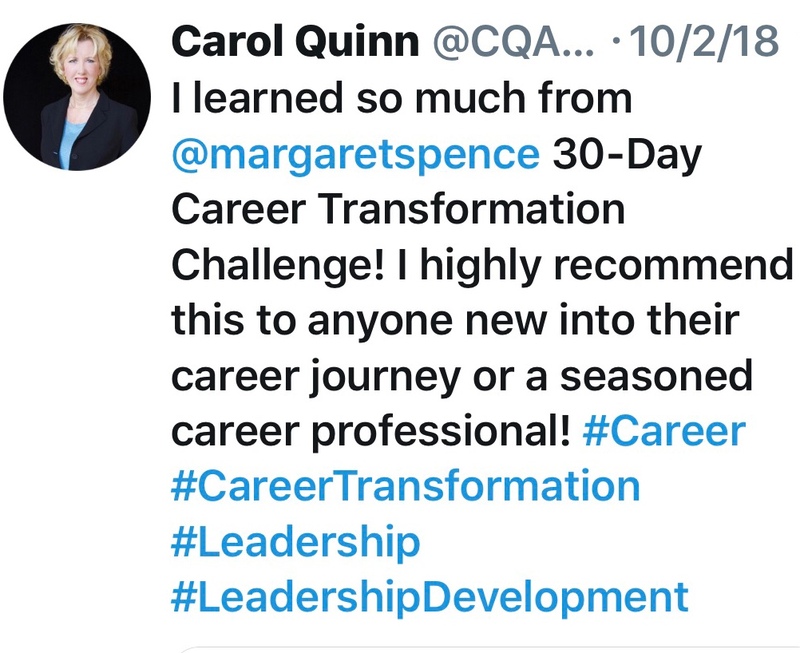 "Hi, I'm Margaret Spence - founder of The Ten-X Leadership Academy and The Employee to CEO Project - if you're ready to build your career intentionally, I can help. Twenty-one years ago I made the decision to control my career destiny, I understand your journey, I've walked in your shoes, and I'm here to help you radically rethink your vision and empower you to build the career you deserve. So join us." 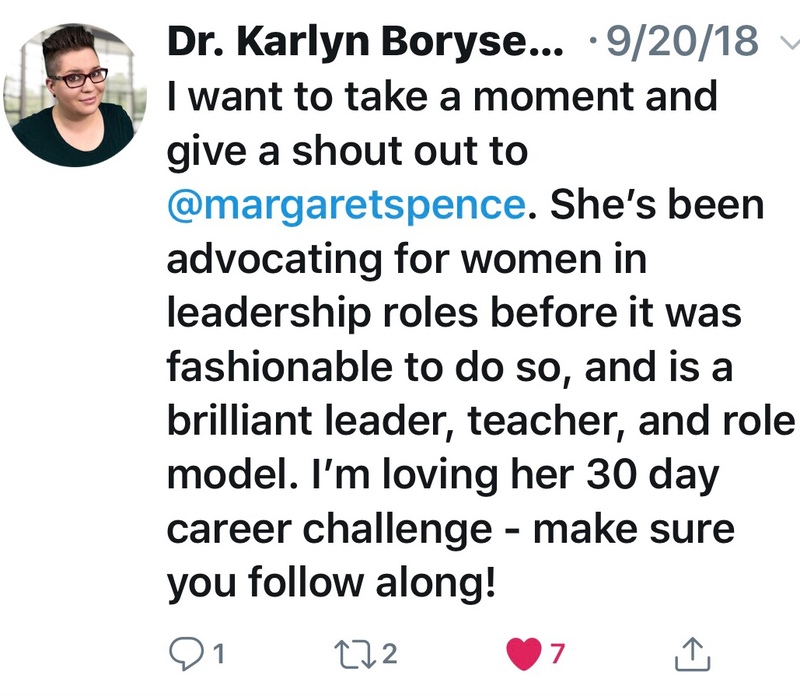 How We Help Women Leaders? 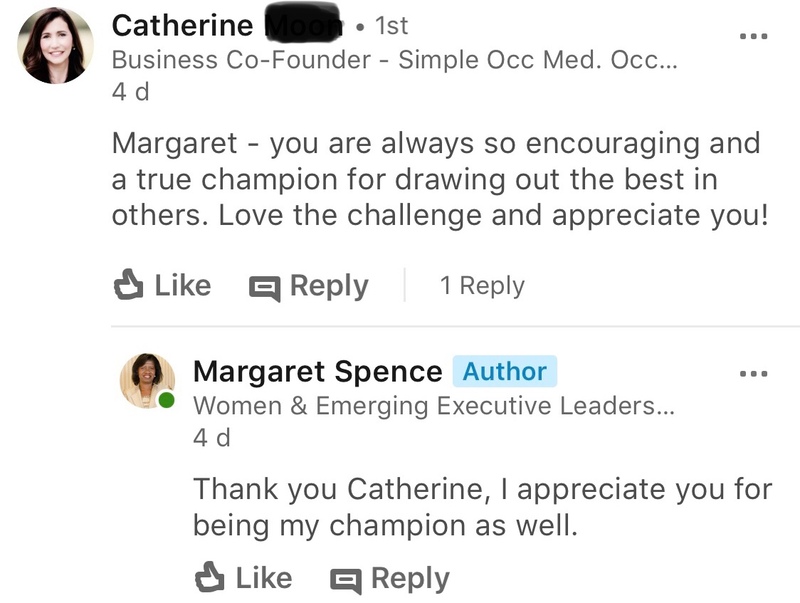 The Career Transformation Framework is a proven system from Margaret Spence designed to help women leaders like you drive better career results faster than you thought possible. What Makes Ten-X Leadership Academy So Different? Ten-X Leadership is revolutionary because it teaches you how to make your career your only job. Your task is to work, but your job is to build your career. As an Emerging or High-Potential Woman Leader, your number one priority is advancing your career. Women often confuse the work we do with the career we need to build. 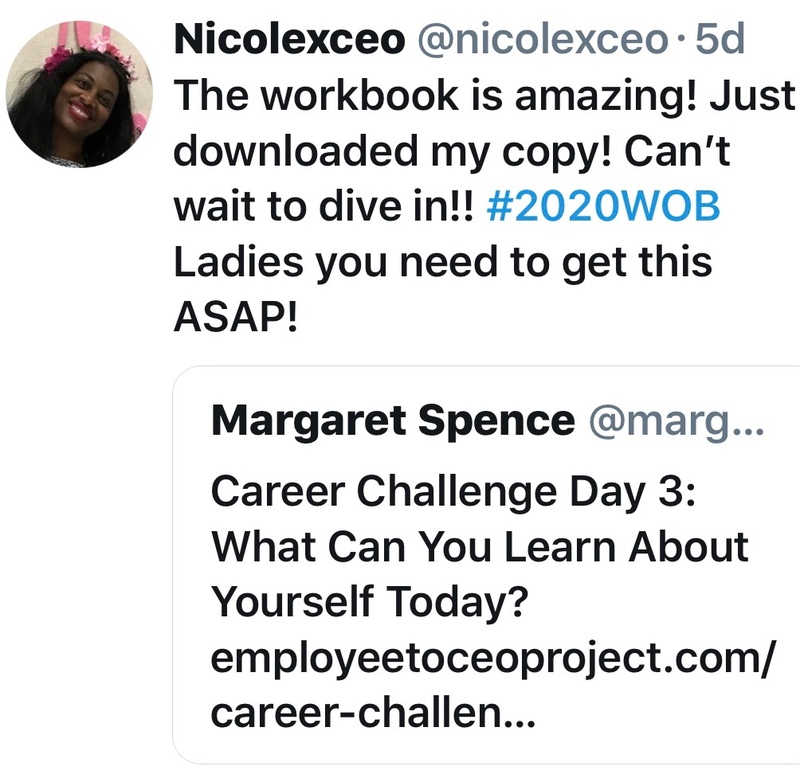 We've helped thousands of women understand that you must work on your career as much as you work in your career and you must be willing to invest in your career growth. The Ten-X Leadership Academy is here to support women leaders. We help you define your value, align your priorities, strategically evaluate every career move while stepping into your power - Are You Ready to Join Us? Register for our High-Impact Vision or upcoming MasterClass. Keen focus on growth, building defined career acceleration plans, next-level leadership development, and support. How much is unclear career focus costing you? How much have you lost because your career is stalled? How many opportunities have you missed because you are afraid to move beyond your comfort-zone? A lack of clarity may already be costing you a great deal. What guidance do you need to accelerate your career and who's guiding you? The Mentorship Circle offers Live Monthly Topic-Based Career Management Programs + Hot-Seat Coaching, Career Strategy, and empowerment lessons for emerging women leaders. What can you do to end career stagnation and move forward? This course helps you set a new career vision, redefine your success, and create a visual plan to move your career forward. Clarify Your What, Figure Out Your Why, and Create a New Roadmap. Five years from today, what would you regret about your career? This Five-Week Powerpacked, Career Goal-Setting, & Action Planning Masterclass for Powerful Women Who Want to Close the Gap Between Your Dreams and Your Current Career Reality. Select A Program That's Right For You. Our Leadership Circle or Masterclasses or High-Level Mastermind Programs. Still not sure what's right for you, just give us a call. Log-in start your program and join one of our weekly live phone calls. Even if you elect to study on your own - We have live programs you can join as a Ten-X Academy member. Affirm Your Vision, Highlight Your Talent, Build Strategic Plans, Help You Identify Targeted Mentors and Sponsors to Propel You From the Employee Desk into the C-Suite. Let's Raise the Bar and Build Your Career Today. We are a cohort of women who inspire each other to grow, find fulfillment in our careers, learn the skills necessary for career advancement, and boldly live the life we want. We offer skills-based leadership development workshops for aspiring women leaders. Mentorship and mastermind programs to accelerate career growth. Monthly live and virtual networking events, and we offer executive leadership development coaching for senior-level executive women who want to pivot from middle management into executive or C-level leadership. The Future You Want is Within Your Reach. Copyright 2018 - Employee to CEO Project - Ten-X Leadership Academy - All Rights Reserved.